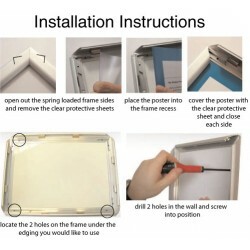 Frame Size --- Please Select --- 16 in. x 20 in. (+$20.00) 11 in. x 14 in. An attractive and affordable look for your office hours. 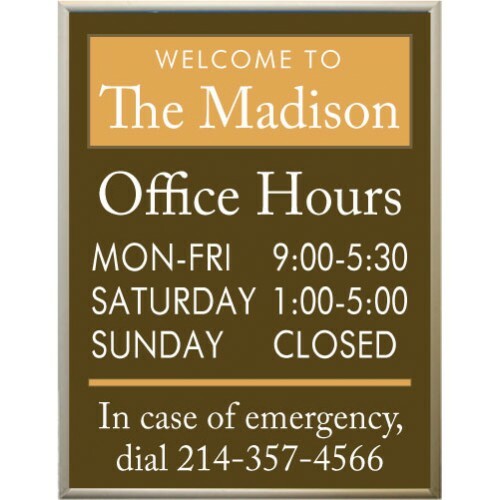 Our framed signs have a sleek spring loaded aluminum frame mounted to a high-impact polystyrene backer. 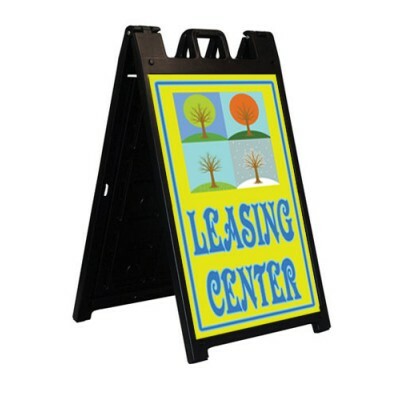 We offer two sizes, 11" x 14" and 16" x 20". Available in a black or silver finish. 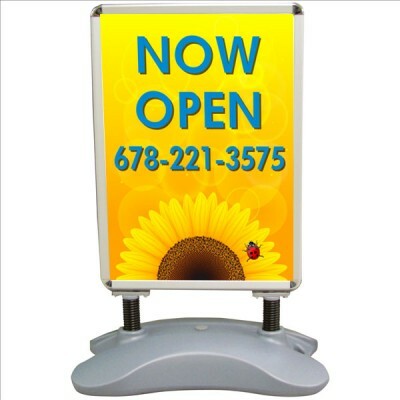 Comes standard with clear non-glare lens. 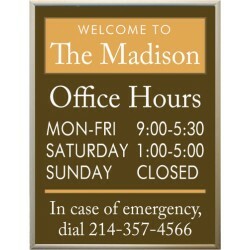 The graphics are digital print durable 1 MIL PVC in your design. 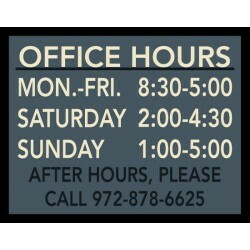 We include both summer and winter hours with the sign. 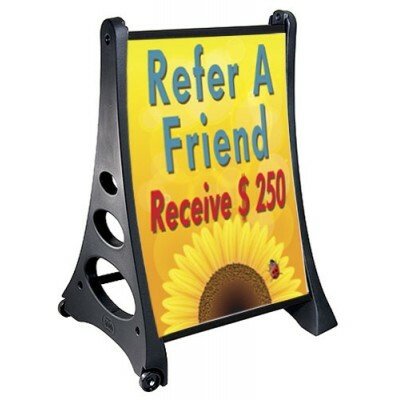 Let us know the size, horizontal or vertical format and frame color. 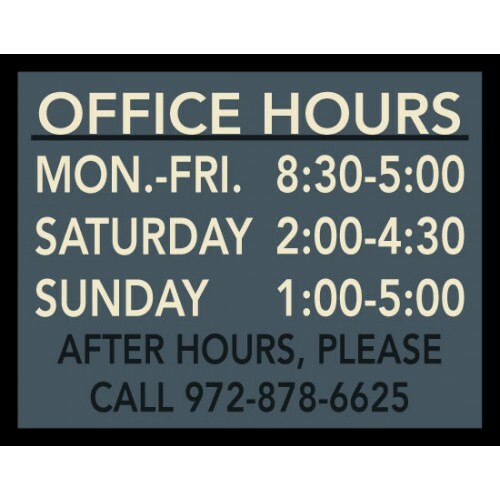 We will layout your custom office hours and email artwork for approval.